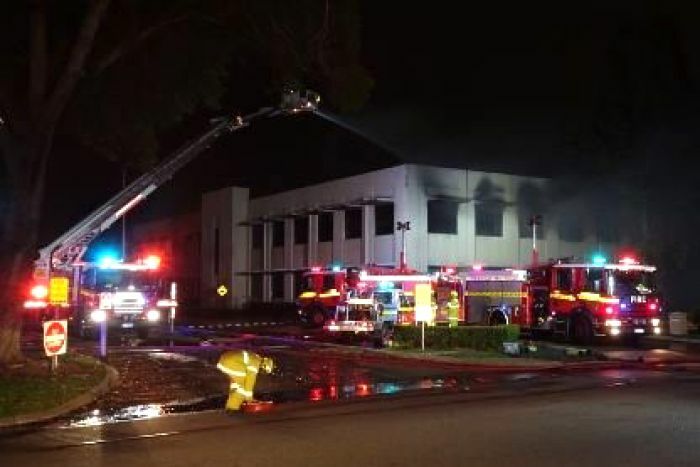 A secret recording has revealed how a Perth businessman urged an associate to set fire to the former state headquarters of hardware chain Bunnings as part of a multi-million-dollar insurance scam. “I think tonight is the night,” businessman Hossean Pourzand can be heard saying on the recording released by a WA court. Pourzand was this week sentenced to more than seven years in jail for organising the plot, which led to the building being extensively damaged in March 2017. 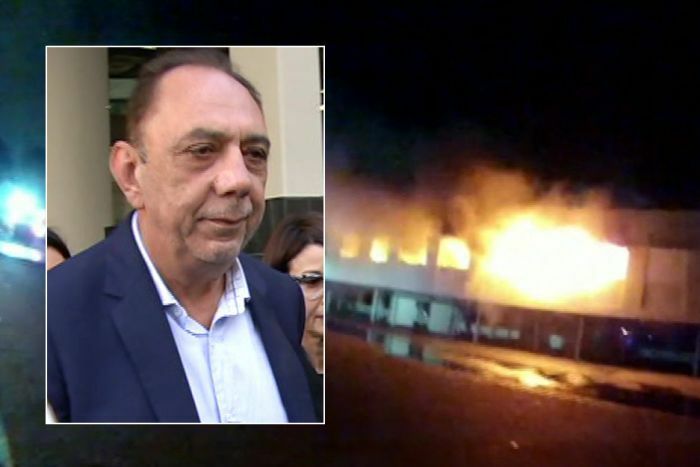 The Supreme Court was told Pourzand claimed he did not have the money to fund a refit of the warehouse, so came up with the plan, with his associate, to set it on fire and then claim on an insurance policy he had taken out weeks earlier. 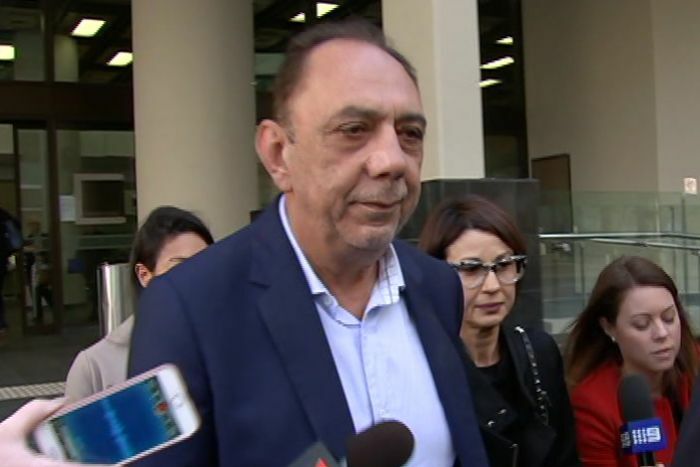 He made that claim the next day and the court heard, if he had been successful, he would have received a payout of between $8.5 million and $19.9 million. The man who set the fire, whose name has been suppressed, had made secret recordings of his discussions with Pourzand, during which he recommended using petrol or a gas bottle to ignite the blaze. 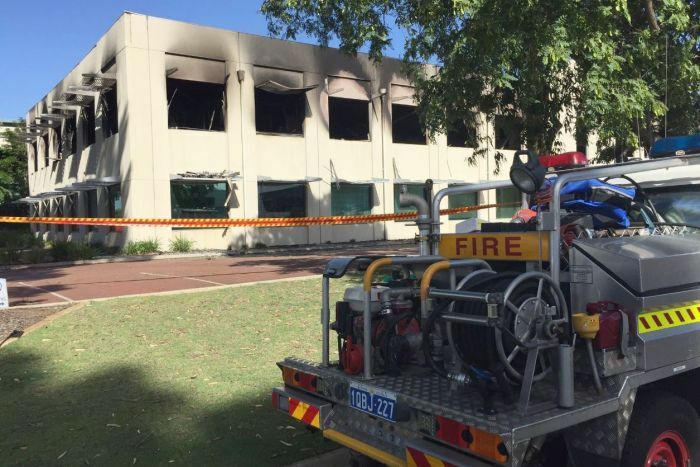 The final discussion took place on March 14, 2017 — the day of the fire at the Welshpool property. He went on to give instructions and reassure the accomplice regarding the “risk that you’re going on about”. “I think tonight is the night because what happen, otherwise we’re going to lose the chairs, other bits and pieces,” Pourzand said. A suggestion was made to set fire to some chairs, which were soon going to be taken away by a charity. Pourzand then instructed the accomplice on how to approach the property, by parking his car at a distance and then riding a bike. They also discussed the best time to commit the crime. Pourzand also offered recommendations on what the accomplice should wear. “Those shoes are okay. Put a cap on and, you know, you just get a scarf that you cover your face. Pourzand went on to tell the associate about the best ways to light the fire, focusing on bins full of paper and cardboard boxes in the building. “You put a good dose of petrol on those so, because when you have paper on top of paper, there is no air circulation. “They don’t burn as fast. Did you know that? But the boxes would, they burn much faster. The businessman then talked about what the accomplice might be paid. “You know the reward. And considering the circumstances, all I wanted to know is what is the number. The video was played as the accomplice gave evidence in the trial of issues of Pourzand, which resulted in his sentence of seven years and four months being handed down yesterday. Asked by the prosecutor what he thought the fire would do, the accomplice said he thought it would cause, “a small fire causing smoke, so smoke gets everywhere”. The accomplice bought citronella, a sash cord and candles, which he used to light the fire. He told the court he did it according to the instructions conveyed by Pourzand. But while giving evidence, he broke down and wept saying, “I never wanted to do this”. The day after the fire, he saw Pourzand who told him they had to wait for a report before knowing how much damage was caused. But told the accomplice, “you did well” and, “good job”. Pourzand also told the man, “hopefully they bring the building down”. The prosecutor asked the accomplice, “did you want to set fire to that building?” and he wept again before responding, “no”. For helping carry out the crime, the accomplice was to receive a payment of tens of thousands of dollars, a loan and a rent-free period at a property. But after the fire, the plan came undone. When the arson squad came to see the accomplice, he gave them the recordings he had made of his discussions with Pourzand. In sentencing Pourzand, Justice Hall said he was an “involved and interested participant in the plan” and had the most to gain from the fire.